japanese dollhouse miniature, toy, takara, licca chan doll, strap, fashion doll. PLEASE NOTE BEFORE PURCHASING: THE DOLL'S CLOTHING HAS SOME AREAS WHERE IT HAS DISCOLORED AND BEEN AFFECTED BY AGE. THE OUTER PACKAGING HAS A LOT OF SURFACE WEAR FROM HANDLING. THERE ARE SOME CREASE MARKS, MARKS AND SCRATCHES. THE CARDBOARD BACKING SHEET HAS DISCOLORED. 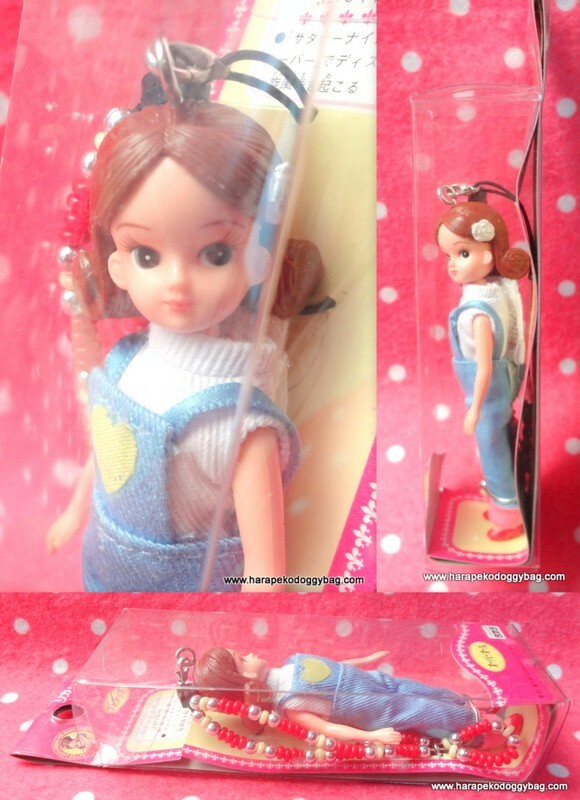 This is a miniature Licca Chan doll keychain / strap made by Takara. Keywords: japanese dollhouse miniature, toy, takara, licca chan doll, strap, fashion doll.